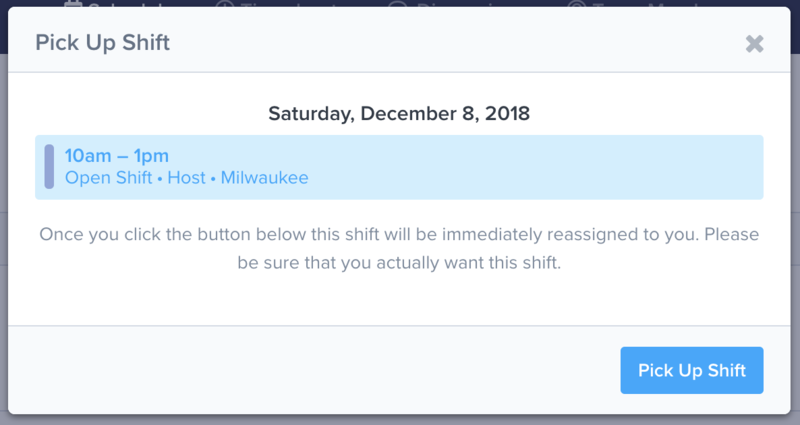 You can find shifts to pickup on the Schedule => My Schedule page. If there are shifts to pickup, you will see a link like the one below. To view available shifts, click the link. You will see a pop-up window like the one below. Click on a shift to go to the next step. You will see a pop-up window to confirm your selection. Click the Pick Up Shift button to pickup the shift. When you submit the form, the shift will be assigned to you.